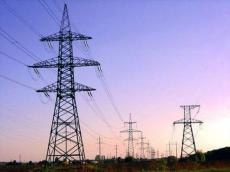 The Iranian energy minister said the government is in negotiations with Azerbaijan to export electricity to Russia. Reza Ardakanian, speaking to IRNA news agency on August 13, added that the country would start exporting power to Russia as soon as talks with Baku are finalized. We are seeking to join the European power network and there are several scenarios for this, he stressed. "One of the scenarios is to get help from our northern neighbors and get connected to the European electricity network," Ardakani said.